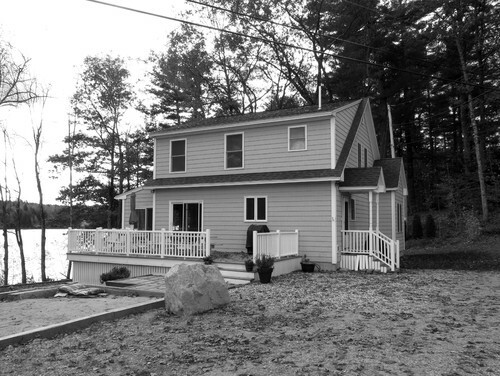 A family turns a cookie-cutter home into a classic New England summer getaway on the water. 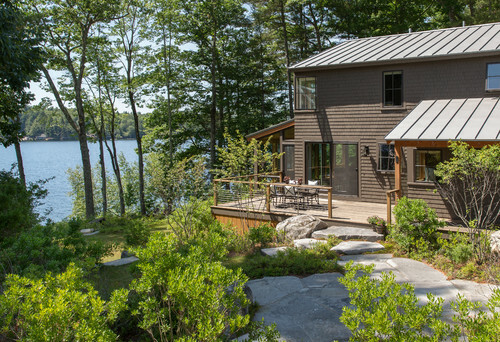 A lakeside home in Maine should look like it belongs on a lake in Maine. 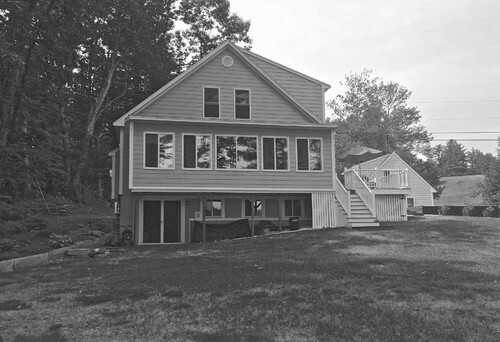 That wasn’t the case originally for this home, built in the early 2000s with simple siding and small windows. 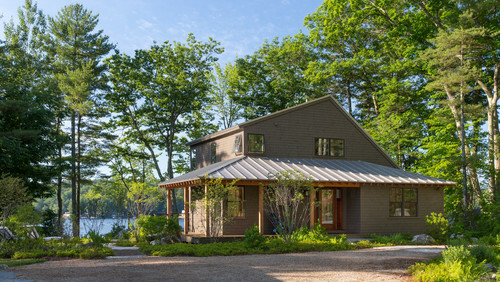 For a more appropriate look, the homeowners hired Whitten Architects in Portland to revamp the summer home and create a place for their kids to come home to year after year. AFTER: The first thing the team did was strip off the faux gables and let the home take on a more authentic shape with a clean dormer line. 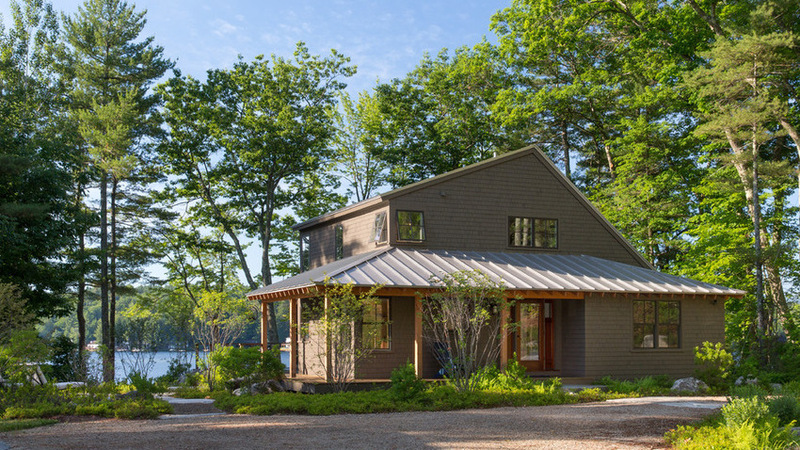 Both the main house and the garage received new standing-seam metal roofs, which last twice as long as asphalt-shingled ones. 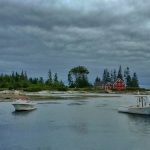 Eastern white cedar shingles replaced the siding for a look that is more true to Maine. BEFORE: The original porch was unstable and stopped short of the front door. 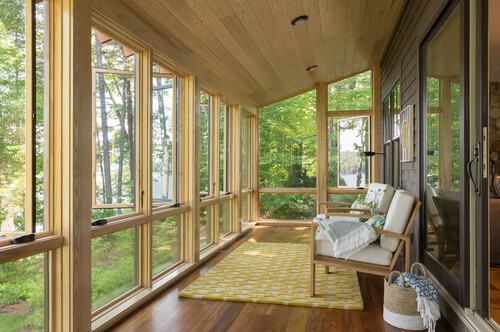 AFTER: The team added a wraparound porch that begins at the front door and continues around the side of the home, where there’s an outdoor dining space, and connects to a screened porch off the living room at the rear of the home overlooking the lake. BEFORE: Short windows prohibited full lakefront views from the living room, while lack of access to the side deck made indoor-outdoor living a little tedious. AFTER: Larger windows capitalize on the views. 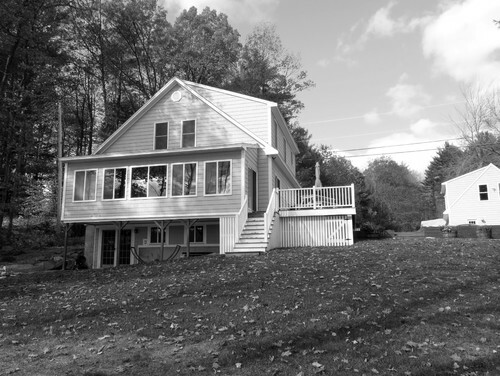 A new screened porch and improved access to the side deck make the outdoors more livable. BEFORE: Wood cabinets dominated the original kitchen. 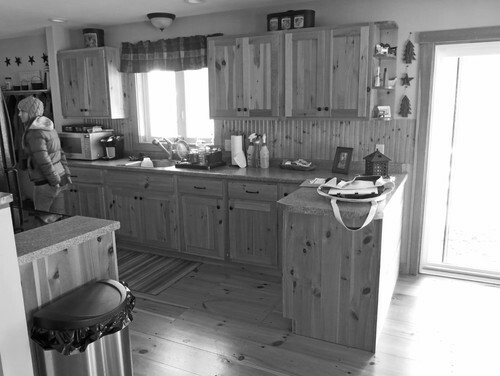 AFTER: Ash cabinetry gives the kitchen a lakeside camp feel. 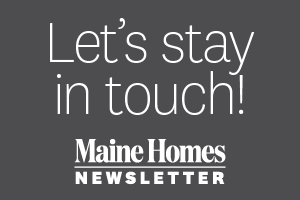 The kitchen boasts a lot of local materials, such as Maine granite for the countertops. 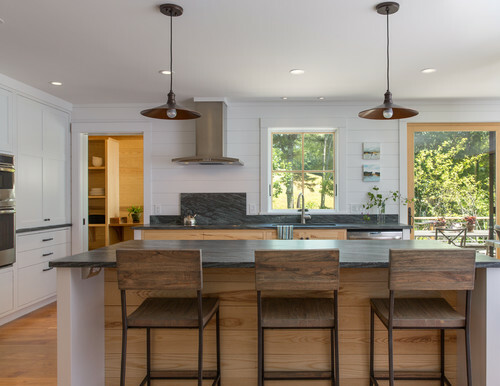 The architects lined the walls in nickel-gap paneling, which looks like shiplap, Tyson says, but has boards that lock together in a tongue-and-groove style. 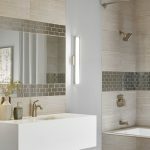 “They turn corners really cleanly,” Carroll says, and help keep the interiors streamlined for a more contemporary feel. A pocket door on the left leads to a home office. 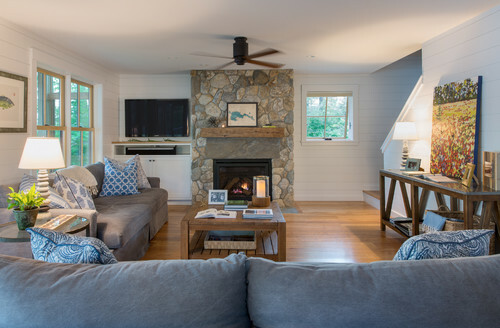 In the living room, the homeowners sourced local stone and built a reclaimed wood mantel themselves. Blue-and-white furniture keeps the decor natural and soft and local artwork graces the walls. 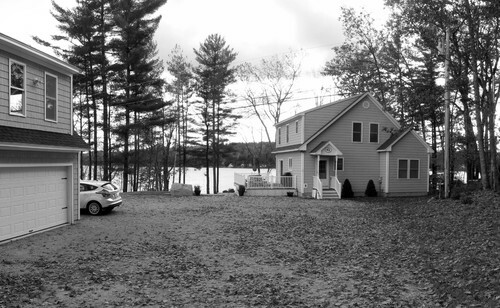 The windows on the left look out to the screened porch and lake. 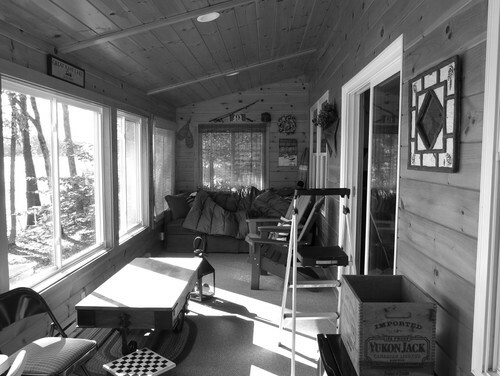 BEFORE: The porch-like den was poorly insulated and the windows cut off part of the view. AFTER: Now fitted with floor-to-ceiling windows, the room feels like it’s floating. Better insulation makes this a true four-season room. “Rather than stepping out into another interior, it feels like a porch but it’s warm,” Tyson says. 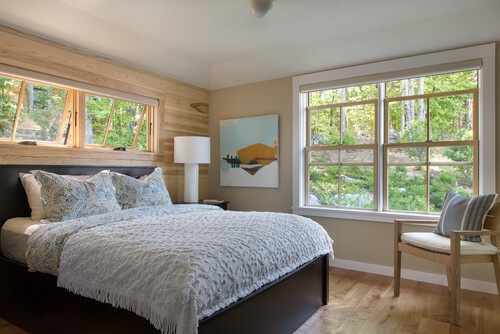 The master bedroom has an ash feature wall and red-birch floors. The windows were left unpainted to create a warm, raw look. Outside, native greenery fills the view. BEFORE: The original landscape was mostly grass. The homeowners worried about fertilizer and pesticides running down the slope into the lake and causing environmental harm. 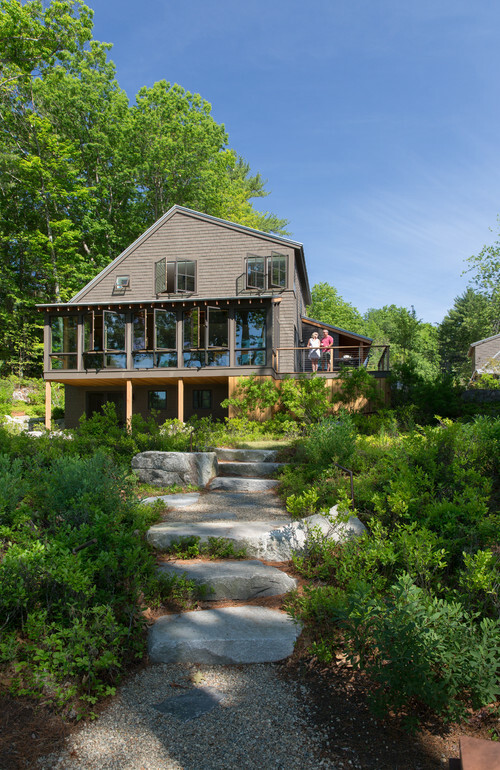 AFTER: Richardson & Associates Landscape Architects created lush areas of native sod with strategically placed blueberry and huckleberry bushes and boulders. 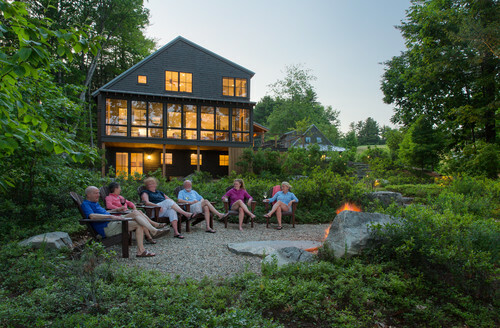 Here, a large rock kicks back the heat from the fire pit for friends enjoying the lake view. 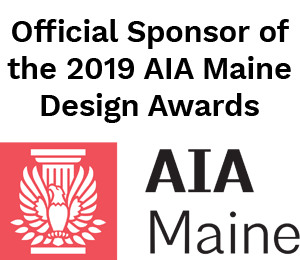 The green landscape concept earned the team the prestigious 2016 LakeSmart Award from the Maine Lakes Society.